Human rights-conscious smartphone owners can breathe a sigh of relief now that a new U.S. law requires publicly-traded companies and electronics corporations to reveal whether or not they use “conflict-free” minerals. The law, part of the recently-passed Dodd Frank Wall Street Reform and Consumer Protection Act, forces companies that use conflict minerals–gold, tungsten, tantalum, and tin–to report which mine the minerals came from. Companies are still free to use the minerals. They just have to be open about it. But not everyone is happy about the ruling. While the law could help prevent fighting in the conflict mineral-ridden Congo, some experts worry that the ruling could drive business out of the country altogether. 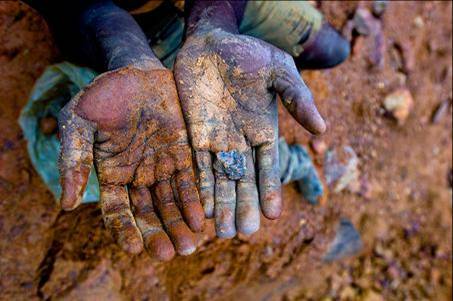 Regardless, the U.S. may be joined by other countries in the fight against conflict minerals soon enough. According to BusinessWeek, U.K.-based advocacy group Global Witness is suing the British government for failure to recommend that local businesses who buy conflict minerals receive UN sanctions. And if that happens, the burden of humanitarianism will officially fall on the shoulders of manufacturers, not suppliers.